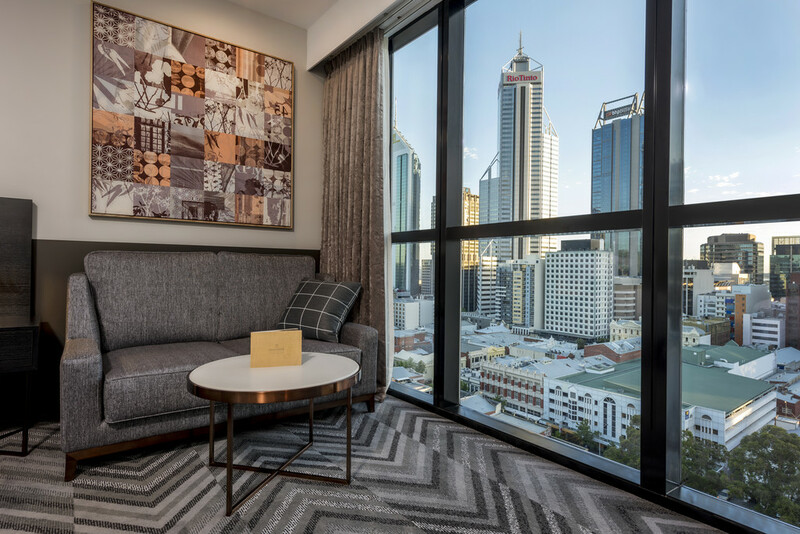 Peppers Kings Square, situated in the heart of Perth and only a short promenade from Perth Arena and the CBD, offers elegant hotel accommodation for both leisure and business travellers alike. Providing a unique blend of impeccable service and hearty, gourmet fare, Peppers Kings Square is sure to impress. From our in-house restaurant, Stage, which serves fine Modern Australian cuisine, to our valet parking service, our aim is to make your stay as pleasurable as possible. When travelling for business the Peppers Executive Room will cater to all of your needs. Offering a dedicated business desk and complementary wireless internet, you will be equipped to manage important matters from the comfort of your room. Relax into the evening with a selection of gourmet teas, or refuel with a caffeinated beverage from your Espresso machine. Complete your evening with some light entertainment on your modern LED TV which features Foxtel and digital channels. An express shoe shine service and drycleaning are available at your convenience. Warm and inviting, the Peppers King Room features an opulent king bed and modern bathroom treating you to much-deserved relaxation. You�ll be in a world of comfort in your air-conditioned room where you can unwind should you wish with tea and coffee. Or for some light entertainment, make use of the modern LED television with Foxtel and digital channels. Discover pure indulgence in the Peppers Sky Room, which features a plush king size bed and all the rooms are on the top floor of the hotel. 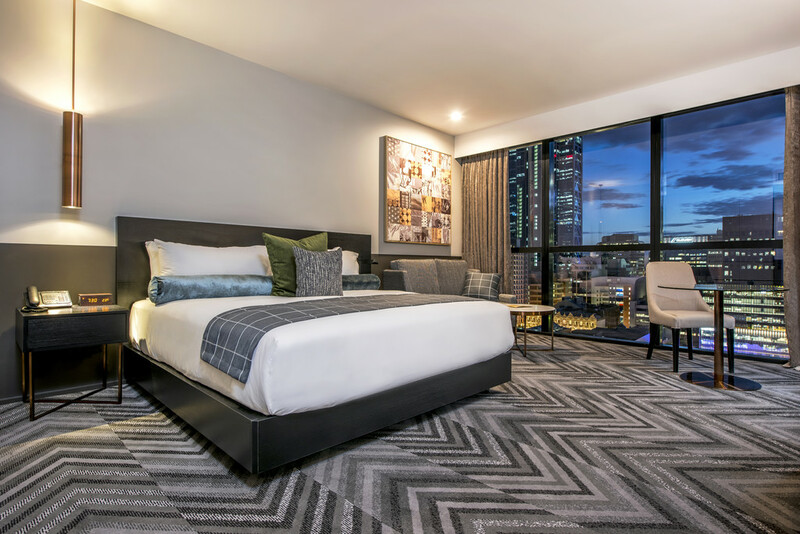 Special touches also include complimentary wireless internet, a range of gourmet teas, espresso machine, bottled water, express shoe shine service, and a modern LED TV with Foxtel and digital channels. In the Peppers Room, sleek surfaces are met with warm colours and textures providing you with a sanctuary in the city. You�ll find a bespoke bathroom and elegant bedding with twin configuration of two single beds. 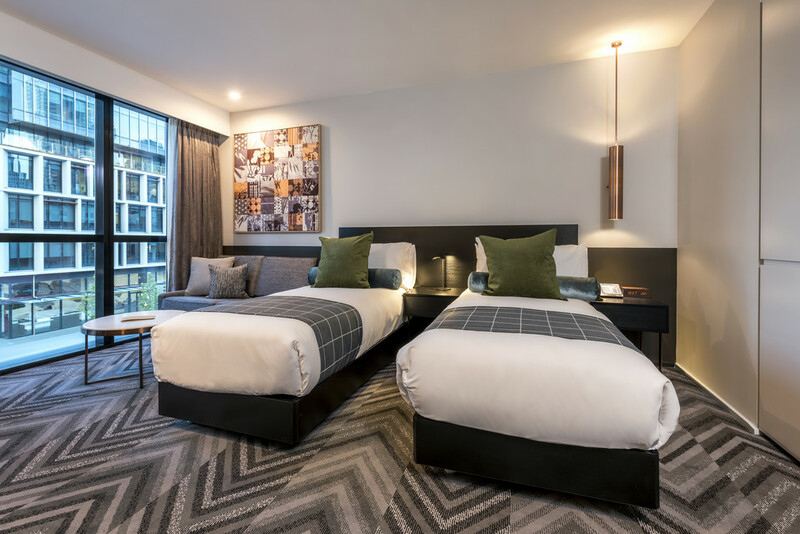 With a LED television, Espresso machines and a full range of gourmet teas site back and relax and take the time to truly unwind during your time in Perth. Cancellation policy - 24hrs prior to check in.